What a strange, strange line-up of contributors. I dunno if I'll pick-up the antho, but the cover sure does rock. I don't think the antho is supposed to be genre specific hence the odd cacophony of contributors. The illo is great. If anyone knows the artist please do pipe in. 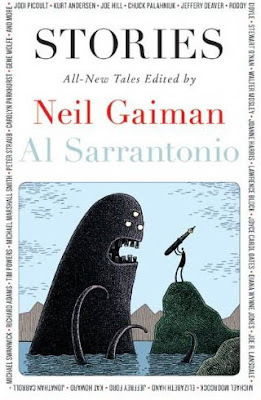 The cover art looks like Tom Gauld to me. Oh my, I like that cover. And the list of contributors looks a wee bit stellar. I'll be sure to look out for this one.